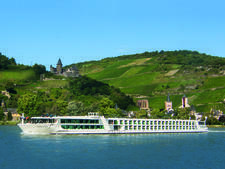 A brand of the Australian-owned Scenic, Emerald Waterways launched its premium, all-inclusive river cruises in 2014. 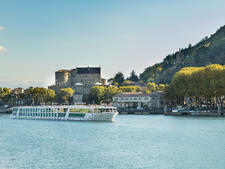 It is entering the big blue world of ocean cruising with the launch of the MV Adriatic Princess II for the 2019 cruise season. 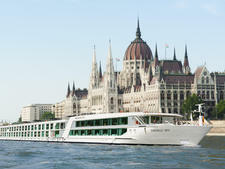 The 36-passenger ship will sail on the seven-night "Islands of Dalmatia" cruise between Trogir and Dubrovnik. Highlights will include the island of Brac -- famous for its white limestone that was used in the building of the White House -- and a visit to Krka National Park with its spectacular waterfalls. Other ports of call will feature the island of Hvar, noted for its lavender fields, and mainland Split, the largest city on the Adriatic coast with the Roman Diocletian's Palace. 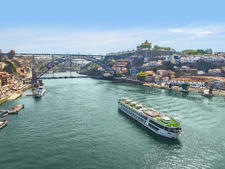 A 15-night "Discover Croatia and the Islands of Dalmatia" (Dubrovnik to Budapest) itinerary will combine a seven-night cruise and eight hotel nights in Opatija, Lake Bled, Zagreb and Budapest. MV Adriatic Princess II has one main dining room; seating is open plan. A breakfast buffet and served lunch are offered each day; dinner is served when passengers are onboard (as opposed to excursion days, when everyone heads to local restaurants). Menus tilt toward Mediterranean cuisine with lots of freshly caught fish. Complimentary wine, beer, and soft drinks are available with meals. Eighteen cabins are spread among the upper, mid, and lower decks. 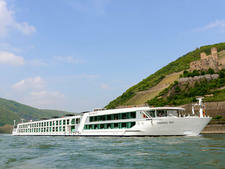 Upper cabins are double-occupancy with queen-size beds; mid and lower levels of the ship have twin and queen size beds. Upper- and mid-level cabins have windows; lower-deck cabins have portholes. Cabin sizes range from 140 to 172 square feet. All cabins have complimentary Wi-Fi, LCD TV, luxury linens and a window or porthole. Lounge chairs on the sun deck draw cruisers to soak up the Mediterranean sun and take in Instagram-worthy views of mountains and ancient cities. There's a canopy for shade-seekers. Pool ladders offer access into the sea for swimming and snorkeling while the yacht is moored. The Terrace, located off the bar and restaurant on the upper deck, offers an open-air space for passengers to have a drink and get acquainted. Most evenings, passenegrs venture ashore to experience local color and street life. Sailings are geared toward adults. 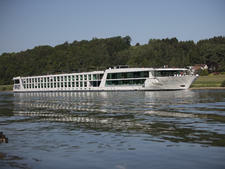 Emerald Waterways discourages guests under the age of 12. Sailings on Adriatic Princess II begin or end in Trogir, a UNESCO World Heritage Site. Shore excursions (included in fare) are available most days. Choose among 22 departures between April and October. 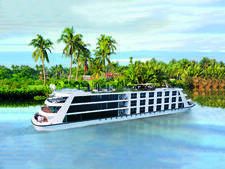 Emerald Waterways expects this ocean cruise to skew to a slightly younger demographic as compared with their river trips. 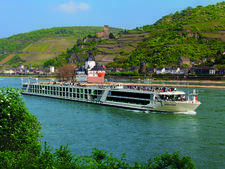 A high percentage of bookings from the U.S. and the U.K. are passengers who have previously sailed with Emerald Waterways on the Danube or the Rhine Rivers. The crew is English-speaking. All gratuities are included in the rate; also included are seven shore excursions, port charges, airport transfers and Wi-Fi.